Words by Kevin Doocey on June 20, 2011 . I suppose there’s two sides to the story regarding Kevin Nolan’s departure to West Ham. A large chunk of the fans will blame the ownership for stalling on a new deal, and failing to reward their captain for the fantastic season his put in on our return to the Premier League, yielding twelve goals. The other side, will see Nolan’s move as a step forward for Newcastle United; one more high waged player off the bill and an aging, slow midfielder no longer our responsibility. I stand in-between. I must say I wasn’t very disappointed by his move, mainly because I expected it - I knew we were set to offload a lot of players this summer, and Kevin is just the start of it. On the other-hand I am confused. Nolan up until very recently had always praised the NUFC hierarchy in their ambitions, and personally praised Mike Ashley for his recent endeavours at the club. For a man who was sad to leave St. James’ Park: it doesn’t really make much sense. I can only come to the conclusion from what I’ve read and heard that Kevin Nolan left Newcastle United because he wanted to leave. The club offered him a very incentivized contract, which is certainly the way forward, and it was a contract that he rejected because he obviously didn’t like what was written down the sheet of paper. All of the terms of the contract won’t be known, but some big points stated in the contract are out. All in all, the higher up the table Newcastle United finished, the better pay-day Kev would have got. There was a clause on a top ten finish, and another on a top 7 finish if all is to be believed. However, Nolan didn’t like the look of it and the rest they say is history. The objective at the club under the current ownership is to buy young blood, with bags of talent, and more importantly with a big re-sale value. It also seems it’s the objective of the board to buy from France, and nowhere else! I very much suspect they plan on producing good players that will bring them up the table, and then sell them on for a big profit - helping the club become self sufficient. The the cycle starts again, buying more young gems bringing us further up the table until we come to a stage where they won’t want to leave, and don’t see a move elsewhere in anyway beneficial. I actually quite like that plan, but there are a lot of flaws to the strategy itself, and that matter is for a different day. 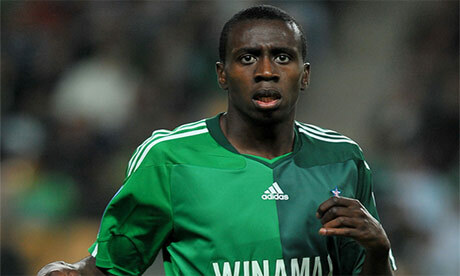 The next young guy we want to bring in is Blaise Matuidi - Saint-Étienne midfielder. I think we’ve all heard of him at some stage, he is quite a bright talent and bigger clubs have been very much sniffing around him in the last couple of years. However, we could well beat them to it as there are reports that a bid has been submitted for the French international and he himself would be quite keen to come to St.James’ Park - joining French teammates Yohan Cabaye & Hatem Ben Arfa. His price tag would be in the region of £10m, but supposedly St.Étienne has slapped a £13.2m fee on him. Why the extra two hundred thousand?! I actually managed to see this guy play a few times in the league and like what I saw; but whether we’ll get him, or indeed actually balk to the price they desire for him is a very different matter. With Nolan gone, some say we actually don’t need any more midfielders, especially with the likes of Haris Vuckic and Dan Gosling hoping to step up to the plate. I’m not sure what will happen, but we certainly need new players, if not in midfield. I honestly wouldn’t mind Matuidi one bit - what about you? The £13.2m is probably a translation from euros to sterling mate. You're dead on there. €15m is what they're quoting it seems. It's 15 million euros mate. That's why it's 13.2 million pounds. Hopefully. A midfield three with Cabaye Tiote Matuidi would be brilliant! how have you seen french league football? the extra 200k is probably taking exchange rates into account. TV is often a good place to start for it.